Hey its Me Farhan Sami from pakistan .. LOt of Experience in AdobePhotoshop .. in which i will be your designer. designing contain LOGO design , Photo retouch, T shirt Design...Read moreHey its Me Farhan Sami from pakistan .. LOt of Experience in AdobePhotoshop .. in which i will be your designer. 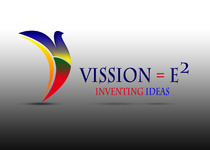 designing contain LOGO design , Photo retouch, T shirt Design etc..